Salman.S, a Senior Member of the Law and Order division of the Special Monitoring Unit at the Chief Minister’s Office in Punjab, Pakistan talks about his foray into gender advocacy, and the establishment of a Violence against Women Activism Centre, and about being a man advocating women’s rights. Can you talk about your story, and what inspired you to work in gender advocacy? Women have always been looked at from a specific lens and with specific roles in mind. This actually derails the society from making progress at any level of development. I wanted to help change that. What prompted the birth of the First Facilitation Centre? How did the idea come about? The fractured and bifurcated justice delivery mechanism has always been the pothole we all know is there but we drive around it rather than fixing it. Departments tasked with case formation against perpetrator of violence against woman are marred with ineffective communication and lack of resources to ensure prosecution can be strengthened and conviction rate can be increased. I used to cringe at the sight of a woman awaiting the highest echelons of government to provide her basic relief. 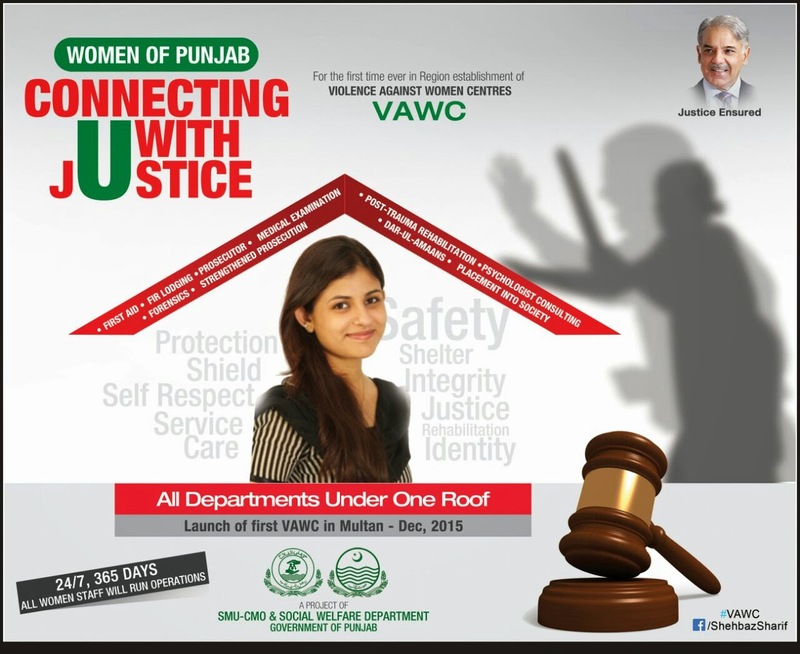 Chief minister of Punjab, who has been at the forefront of ensuring justice to each and every citizen used to personally visit victims of violence and to ensure that they get justice which should have been done without him intervening. He used to be very upset and frustrated seeing woman being violated first by the accused and then by the system which is supposed to protect them. I shared his frustration and came up with a plan to provide woman victims of any sort of violence access to departments responsible for justice delivery at one place, where they could call for help, get transportation to safety, lodge FIR, get medico-legal and forensics done right away so the crucial evidence that is lost can be collected within 24 hours of the crime. A woman loses her will to prosecute after 24 hours due to various social and economical pressure points which i wanted to overcome. CM Punjab appreciated the idea and we got the green light to start the project. Could you talk about some of the key challenges you encountered in your journey? Most challenges we faced were to collaborate with different departments that are integral part of justice delivery mechanism and to encourage them to work under one roof and coordinate effectively, sharing data in real time. We were fortunate that the department heads were very cooperative and we were able to overcome the challenges swiftly. My Team, Ms Hafsa Rehman and Ms Huda Wajih who are both recent graduates worked tirelessly to collect data to support our initiative and with the help of data we were able to scientifically prove our point. One of the major reason that we did not encounter much opposition was due to the strong support we had from Chief Minister Punjab, Mr Shehbaz Sharif. He backed us all the way and ensured this project gets approved quickly. You work closely with women - daughters, mothers and grandmothers. What are your primary thoughts about the challenges they face? What are we ignoring in our work towards women? First and foremost challenge they face is lack of justice and quick justice without the fear of humiliation and intimidation. The mental trauma they go thru stays with them for years as signs of physical trauma fades away. We must be able to provide them with the belief that they are not some isolated part of society but they are the society. They will get justice and without being compromised in any form. When justice is ensured, progress follows and when there is progress of a free mind, you can expect wonders and deliver them as well. What are your dreams for the initiative, and for women in Pakistan in general? The dream is simple. The moment one violates a woman in anyway which jeopardizes her safety and dignity, he or she should start enjoying the days outside the bars as those days will numbered. These centers will collect evidence in a expeditious way and with the help of technology we will integrate all justice delivery departments so prosecution will be flawless. Post prosecution, we want the woman to be rehabilitated psychologically as well as with training to help her enter back into the society with confidence and skills to work. In the coming days, what will the Facilitation Centre be doing? The center is at the construction stage as it will be a state of the art custom built facility. It will be built in the southern city of Multan which has the highest number of reported cases regarding violence against woman. It will have no incoming call facility to deter external pressures and only a 800 number will be the point of contact for crime reporting and case status. Staff which are being careful selected with stringent criteria will be trained extensively with the help of UN Woman. A Shelter home will be attached to the facility as well as proper security to ensure no intimidation of any sort can take place once the case is in process.